Minit, the top-down adventure game from JW, Kitty, Jukia and Dom, is getting a physical Nintendo Switch release through Special Reserve Games. The goodie packed short-run will be available to pre-order from April 16th (5pm GMT) until May 2nd 2019. Described as a “peculiar little adventure played sixty seconds at a time”, Minit is a top-down adventure that made its digital-only debut for Switch in August 2018. Now, thanks to the fine folks at Special Reserve, fans and collectors will soon be able to get their hands on one of these stunning physical copies. Critical updates and patches pre-loaded onto the game cart. Reversible cover art, created especially for this release. A 24-page Minit instruction booklet. Stickers featuring various characters from the game. A 22×18 Inch “Map of Minit”, screen-printed on 100% cotton. 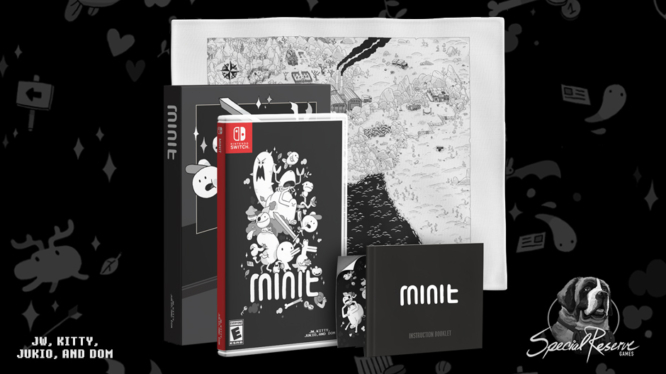 A Special Reserve box featuring Minit artwork. 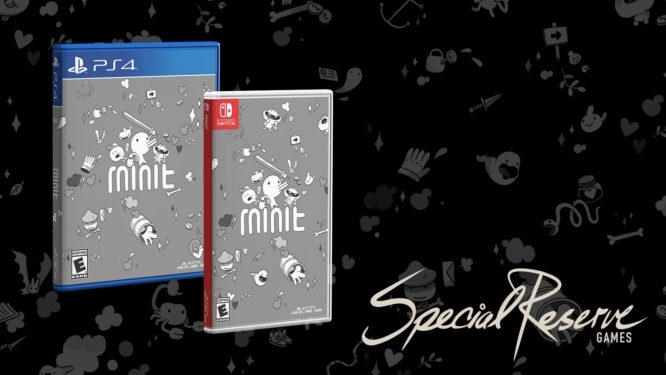 Pre-orders for Minit’s Nintendo Switch and PS4 physical releases are priced at $34.99 and will be available on SpecialReserveGame.com until May 2nd 2019. Special Reserve Games has also teamed up with Limited Run to offer fans a variant copy of the game on both PS4 and Nintendo Switch. The variant release, featuring alternate cover art, will be available to pre-order exclusively from Limited Run Games store. Both the variant version and the Special Reserve release will be up for grabs starting 5pm GMT on April 16th 2019.